Lisa: Recommended reading for vegans/AR advocates who feel frustrated, angry, and hopeless at times, so all vegans, basically. Reading the life-affirming, life-changing transformations of others who chose a vegan lifestyle will offer comfort and solace. I also recommend it to anyone curious about a vegan lifestyle. These stories resonate with me, as becoming a vegan turned out to be the most positively profound experience of my life. It's like "Veggie Broth for the Vegan Soul." Maggie: Looks at relationship with animals in a collection of short articles from a wide variety of writers. The later parts of the book explore animals from the point of various religions and modern ethical issues such as world hunger, pollution. Michele: Excellent, and very inspirational! Tina Volpe is an author, health researcher, 34-year vegetarian, speaker, educator/consultant, columnist and television guest, appearing all over the U.S. She has also been a host for the top rated show Wake Up America, on Global Talk Radio. 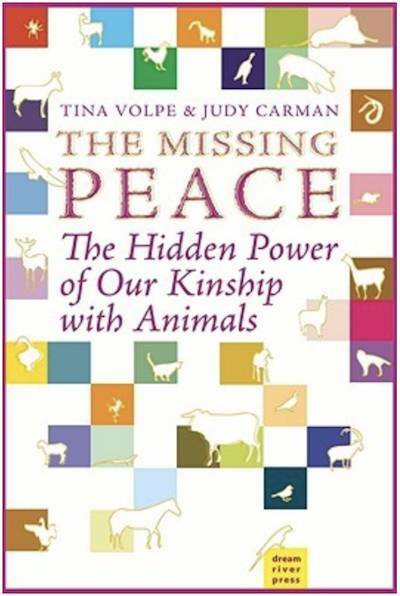 Judy Carman is an author and activist for animal rights, environmental protection, and world peace. Over the years she has helped establish justice groups and has also co-founded Animal Outreach of Kansas and the Worldwide Prayer Circle for Animals.